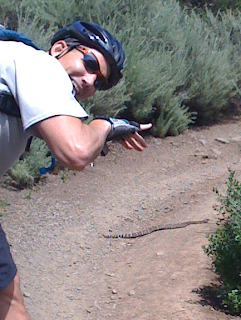 We saw this rattle snake today while mountain biking. This is the second time Tony and I have seen rattle snakes at Waterdog. At least we didn't run over it.